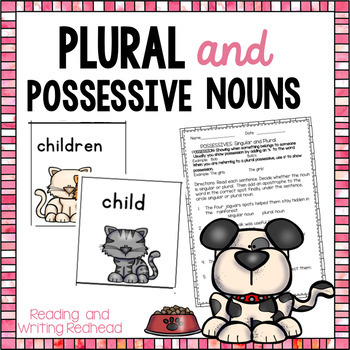 This is a 30 page pack with activities to help your students with singular and plural nouns - especially those tough irregular plurals! 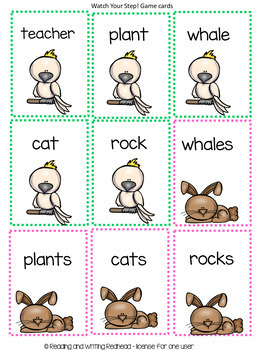 Great for first grade, second grade and third grade. 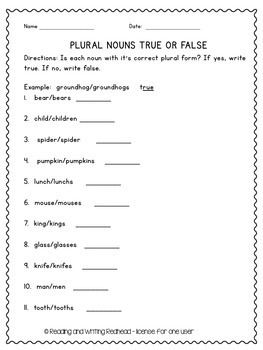 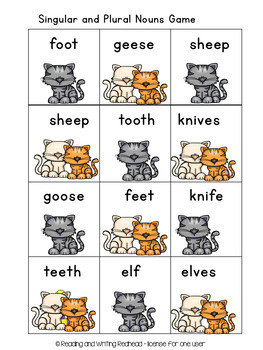 Activities include both color and black and white plural noun cards which can be used for two different activities, plural, singular and possessive noun practice pages, and Watch your Step plural nouns game.